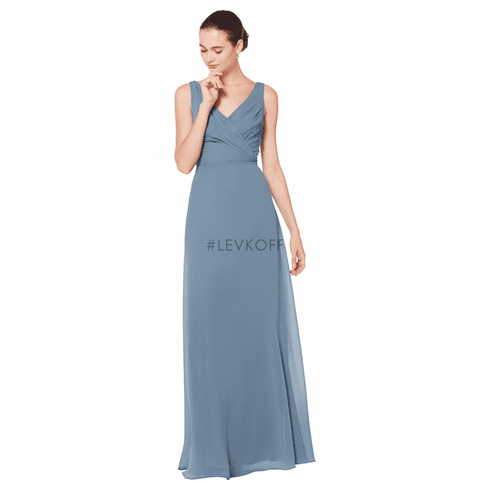 Description: Chiffon sleeveless gown with V-front and back. Criss-cross asymmetrical pleats adorn the bodice. Slight A-line skirt.